An invitation designed for a pair of color-lovers on the west coast. 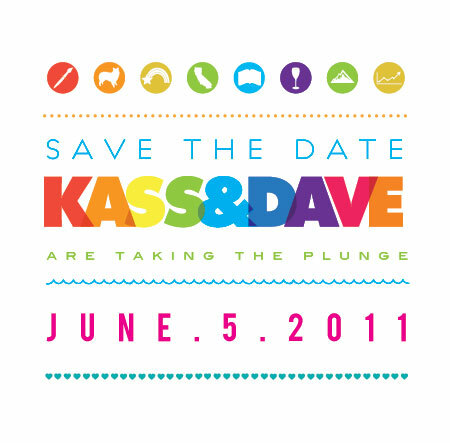 This save-the-date design includes little icons that represent special moments or concepts from their relationship. Very likely the only instance in which the stock market has been graphically depicted on a save-the-date.